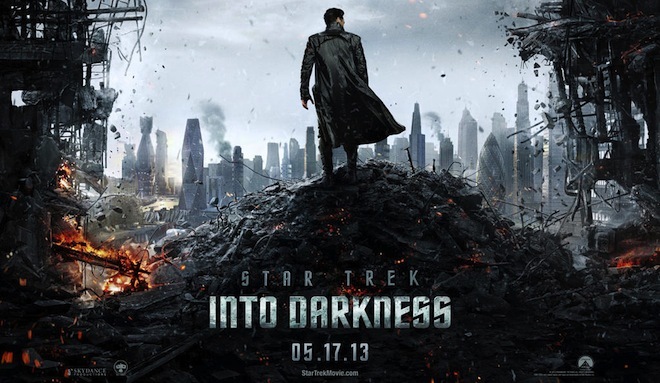 [Dollar Theater Series] Looking back on “Star Trek: Into darkness”, my personal most hated movie of summer 2013. 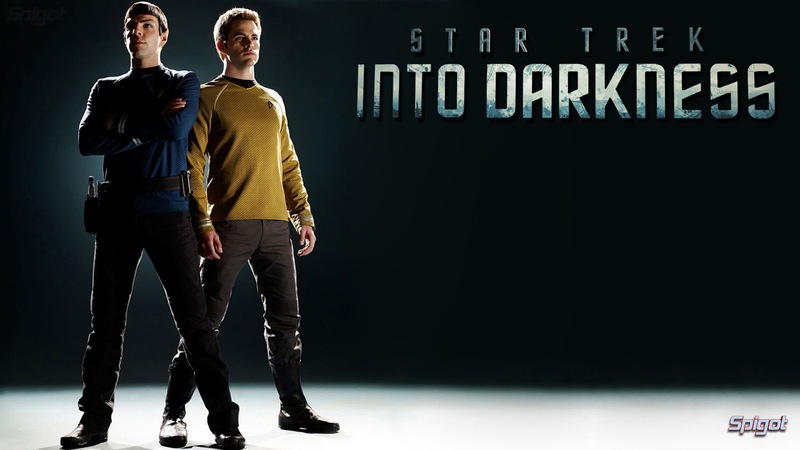 Recently, A convention of star trek fans voted the “Star Trek: Into darkness” as the worst Star Trek movie ever including the infamous “Star Trek V” and “Galaxy quest”, the great spoof of Star Trek movies . So, I had the idea of dropping by my local dollar heater to re-watch “Star Trek: Into darkness”. What I did not know was that this visit would bring a resolution to my personal journey with the movie. 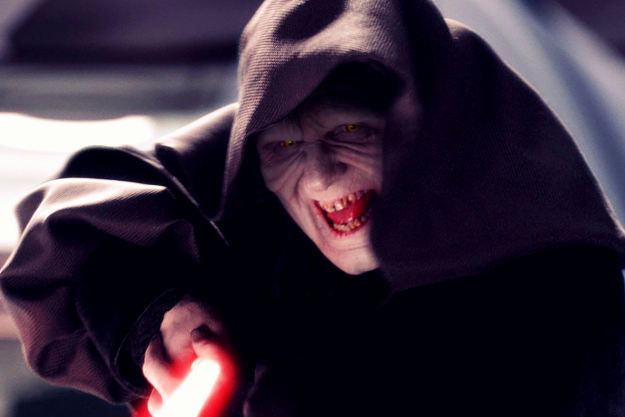 A journey filled with hatred that almost pushed me over towards the dark side of trolling. And yes…I also enjoy “Star Wars”. First, you have to understand my history with this movie and the Star Trek franchise as a whole. To be blunt, I am a serious "Trekie". I have watch all of the TV series at least 2 times and that is lower because of the series “Enterprise”. However, I am not a convention going, costume wearing, and continuity obsessed super fan either. If you respect this thing I love, I am perfectly fine with changing continuity or doing something new. Heck, even the shows had serious problems with continuity. In the age of episodic television, no one really cared about continuity. 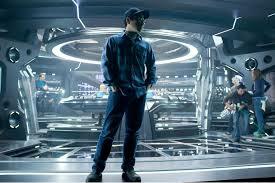 So, when they were going to reboot Star Trek, I was interested and the only doubt that came to mind was J.J. Abrams. Even after I goggled is body of work, my response was why give this guy Star Trek? His body of work, especially in movies, was not impressive. In any case, I went to the theater to see the 2009 reboot and was not impressed. I did not especially hate it but every in the movie was slightly irritating. I ended up seeing it overall 3 times in theaters just to try to understand why the movie did not click with me. I wasn’t because of the reboot thing. At the end, I came to the conclusion that J.J. Abrams’ personal creative tastes simply did not match up with mine. So, while I categorized those who stated that the 2009 reboot as the best movie ever as stupid dumb asses I acknowledged those people who liked it. And, after a while, I was able to watch the movie on DVD without much issue. My final say was that it was a dumb movie but competently made. 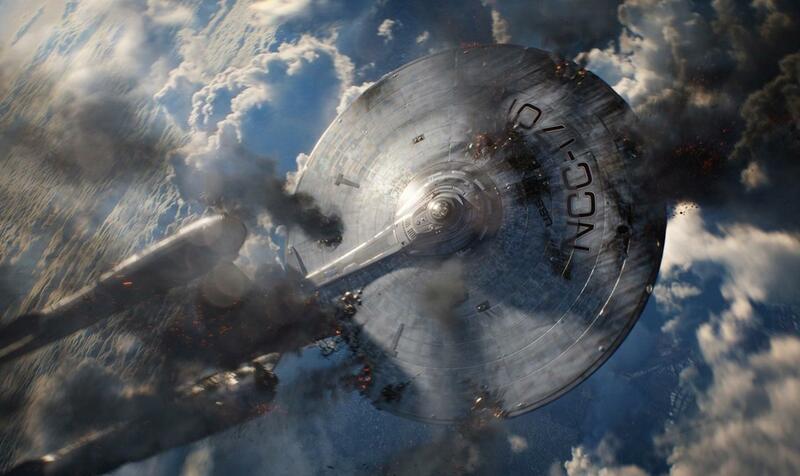 So, I had low expectations going into “Star Trek: Into darkness”. I had expected it to be similar to the previous one and I braced myself for it. And wow, let’s just say that the movie dropped my shields and caused of Warp core breach. While many liked this movie, I’m in the other group of people that had an allergic reaction to this movie. Coming out of the theater, after seeing it the first time, it felt like I was personally insulted for the whole running time of the movie. When you like seeing movies and going to theaters, you end up seeing a lot of bad movies ranging from that was not so good to terrible. I love going to movies! So, you can imagine how many bad movies I have seen. I have always been confident that I could find something to enjoy from even a bad movie if it was professionally made. And here I was, sitting in on a movie that obviously had some good work done by the crew (not the director) and I was pissed. I was so pissed that, for the first time, I went on the internet to troll people who said this movie was a great movie. I could not stand anyone with a positive opinion about the movie and flocked to people who had negative stuff to say about the movie. It was my luck that there were actually a lot of people who I could listen to. After a week or two, I went to see the movie again. I was so curious to understand why I responded to the movie. Yes, the scripted was terrible but this was not even my 500th terrible script. Yes, J.J. Abrams stamp was really noticeable on the movie. But, I saw MI3 and Super 8 and didn’t like it although I forgot about them when I left the theater. The second viewing was more like seeing the 2009 movie for the first time. I was irritated and bored. So, when I entered the theater to see the movie for the 3rd time, I expected to have a similar response to the movie and even fall asleep. But I have to say that I finally get why I other people like the movie. 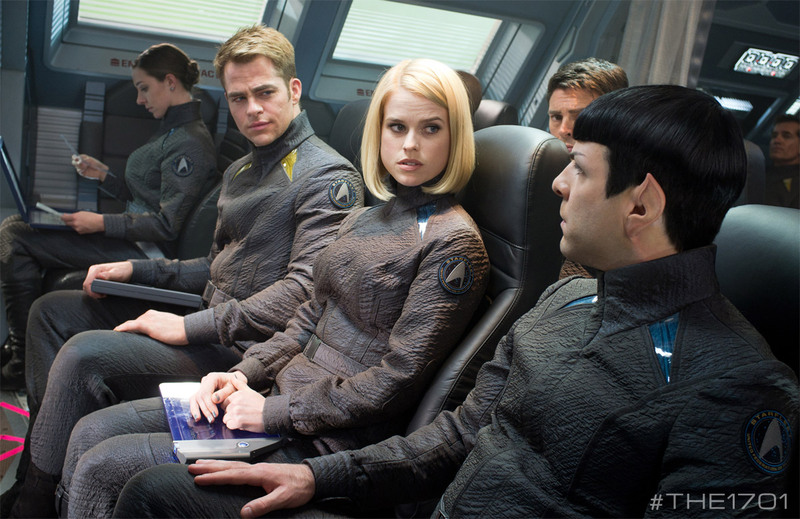 “Star Trek: Into darkness” is very truthful to the broad buddy action formula. You have a mismatched odd couple setup. You go from action set pieces to action set piece. You have the quirky comic reliefs. You had the unmemorable generic villains that are set up to not over shine the protagonists. I have liked movies that conform to this formula many times before. The movie “2 Guns” is also an example of movies that conform to this formula. And this is why I’m writing this rather bloated essay. Why did I respond to “Star Trek: Into darkness” is such a negative manner? After some thought, I came to the conclusion that it was had a serious problem with J.J. Abrams’ creative philosophy. Looking back, I think that I was insulted by “Star Trek: Into darkness” even before the movie opened. J.J. Abrams has this “black box” approach to artificially create interest which used car sales men would be more comfortable. In scripts, it is expressed through convoluted plot twists, very blatant misleads, and dumbing down the script because you had just written yourself into a corner and have no idea how to get out. Beyond the pages of the script, this “black box” approach leads to blatantly misleading or deceiving the press and the audience beforehand. The emotion of being deceived is further implied by the fact that the manner in which the deception has been conducted was not even clever. Not only did J.J. Abrams deceive you but he also insulted your intelligence. For me, personally, the whole “Khan” thing before the movie opened was last straw looking back. Thus, when I went to see the movie, I was already pissed and the only way the I would forgive J.J. Abrams was if his movie treated myself as the intelligent individual worthy of respect that I thought I was. So, it was a fixed game from the start. J.J. Abrams’ movies represent how he thinks about the audience. In a way he is really an auteur director. So, “Star Trek: Into darkness “insulted me being the movie that it was always going to be under the creative leadership of J.J. Abrams. The plot was convoluted to the degree that it collapses under its weight even though the movie did not require a heavy plot. The characters and plot was dumbed down to handle the convoluted mess it was. This is the same for his TV shows. However, it is easier to spread those issues across multiple episodes and compensate for them on the spot. It becomes more evident when you only have 2 hours and no one is there to fix the problems for you. Seeing the movie the 3rd time, what hit me the hardest was the fact that this is really a “SPEC SCRIPT . According to Wikipedia, a spec script, also known as a speculative screenplay, is a non-commissioned unsolicited screenplay. These are usually very functional and are likely to be used as a basis for a screen play for a recognizable brand. And that is what the writing team did here. You give me a black marker, a few red pens, and a day and I could change this movie to be set in the current day. The problem is that, in turning the spec script into a Star Trek script, they overdid it with the references without a clear understanding of the material. In other words, they had a generic functional spec script and started copy and pasting like crazy from Star Trek. Com or Memory Alpha. If you have graded papers from college undergraduates, you know this is a recipe for disaster. At least, with the college papers, you can just give them an “F” and use the experience of having to read them as comedy metrical between your colleagues. 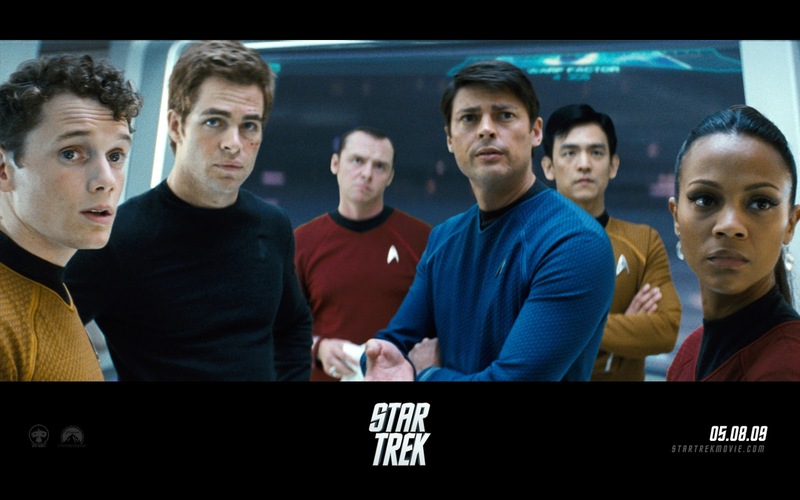 With “Star Trek: Into darkness”, I was just boiling like a pot on the stove that someone forgot about to turn off. At the end, I can accept what “Star Trek: Into darkness” is. It is a generic action movie with Star Trek skinned on it. And it is not boring. I may even get the blu-ray although I have not gotten the 2009 reboot yet. This this is the end of my journey with “Star Trek: Into darkness”. One other thing, Alice Eve was a little better in the 3rd viewing. I like her but she does need to get better roles. The scene is bellow still embarrassing! I highly suggest that you watch the original Wrath of Khan to see how badly Abrams botched Into the Darkness. To me Khan is still the best of all the Star Trek movies. But first I would watch the original series episode Space Seed to help you truly appreciate how good WOK is.